This is not country music. The first generation of country artists borrowed from everything around them: Appalachian stringband, Texas fiddle traditions, cowboy songs, Delta blues. Western Centuries uses every tradition and their modern spirits and ears. They are really good singers, brilliant songwriters, and great instrumentalists. 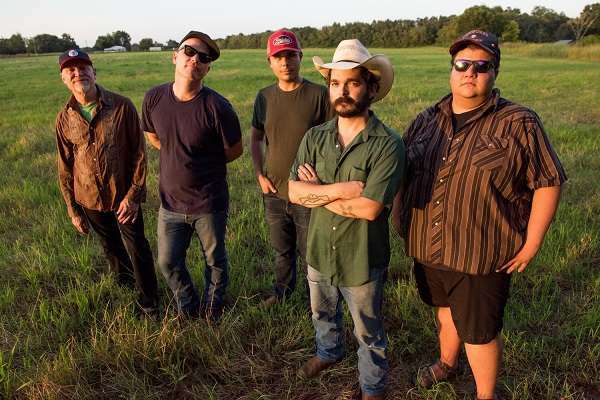 They aren’t bound by any rules to write songs in a country style; instead they’re taking their own personal influences as songwriters and fusing them into a sound that moves beyond the constraints of country. Part of the reason they can make music with this range of influences is because of their roots in city life. Both Cahalen Morrison and Ethan Lawton, two of the three principal songwriters, live in Seattle’s diverse South end, and the third songwriter, Jim Miller, spends most of his time in and around New York City. The urban landscapes they call home make for inspirational sounds that draw as easily from modern rhythm & blues as it does the honky-tonk saloon. Western Centuries’ music crosses vastly differing geographies–the city, the southwest, the metaphysical. And their musical influences are equally as diverse. They weave a tapestry of western music that will levitate hearts and bring country music home as literate, epic odysseys from all over. The band has been here before and I’m thrilled to have them back. Listen to a tune here.